A lot of people, myself included, assumed that the Nintendo 3DS was going to be dead in the water the minute the Switch was released. 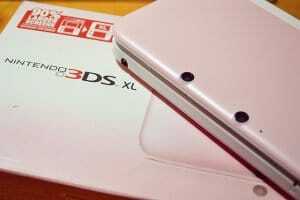 Nintendo even came out and publicly stated they would be supporting the 3DS in Japan through at least the end of 2018. I sure didn’t believe them though. I’m glad I didn’t make any bets though, because things are looking pretty good when you consider the upcoming lineup of Nintendo 3DS games. Take a look! You’ll see what I mean. Miitopia was released last year in Japan. This is a quirky RPG that lets you take the Miis on your 3DS for a wild adventure. In between quests your characters sleep in the inn and you have to help them build friendships so that they will fight more cohesively on the battlefield. This might be the only way anyone will ever be able to have Shaq and I in the same RPG, so you don’t want to miss it. PIKMIN is a long running franchise that has typically been a 3D experience. Hey! PIKMIN changes perspectives. Instead it is a 2D platforming game that is less of a strategy game and more of a puzzle game. The light and cartoony visuals make this one look, at least on the surface, like the game is being made to appeal to younger gamers. But, we’ll have to see how complicated the puzzles are. Metroid Samus Returns is a complete remake/reimagining of Metroid 2 for the GameBoy. It was announced at E3 this year and excited a lot of fans with its beautiful art and fast paced action. The original game was a direct sequel to Metroid for the NES and followed Samus as she hunts down a series of specific Metroid (The titular jellyfish like aliens that have appeared throughout the series). It was made for the GameBoy though so it suffered from some serious technical limitations. This had a chance, though, of helping to reignite the love for the series that many fans may have lost over the years (assuming the game ends up being good). The Mario and Luigi RPGs have been around for a very long time. Some would say that they originated as an offshoot of the Paper Mario series, but the first true game in the series was Mario and Luigi Super Star Saga. It was released for the Game Boy Advance back in 2003. The series has continued on since then with several games (many of which were quite good). Nintendo is rereleasing the original along with “Bowser’s Minions,” a game that tells the games story through the perspective of… you guessed it… Bowser’s Minions. I know that many fans were looking for a bigger Pokemon announcement this year. But, upgraded versions of the smash hit Pokemon Sun and Moon will be a very big deal this holiday season. We don’t know all the details yet, but I know our family is already on the hook for four copies of the game. The Monster Hunter series is HUGE in Japan. It hasn’t fully caught on over in the states, but that doesn’t stop Capcom from making valiant attempts to make it happen. The upcoming Monster Hunter Stories has the potential to do just that. The game eschews its standard high fantasy style in exchange for a chibi anime art style. The game looks adorable. The jury is still out on whether or not the game will include the same level of challenge as the main game though. As you can see, the Nintendo 3DS still has a bit of life left in it. What do you think? Sound off in the comments if you are going to pick up any of these games for your family! Our kid reviews are back! This time we have a review for Pokémon Y from Seamus! This review is all about Pokémon Y. It is one of the Kalos region games as opposed to the more recent Sun and Moon. I am here to drop-kick back to X&Y. Pokémon Y is the partner to Pokémon X, while being partners it’s surprising how they compare. But they are similar enough that you can get the same tech specs for X so don’t worry if you bought it and are reading this. The only real differences are the Legendary Pokémon and certain mega evolutions. Both Charizard and Mewtwo mega-evolve differently cross game. But, mega stones can be traded from game to game so you can easily get the opposite mega in your game. The legendary is the real determining factor. But again you can trade (but who on earth would trade their legendary even for another legendary? You probably picked the game because you like the legendary better). But that’s just me talking on and on. (I went with Y because my awesome uncle gave it to me as a gift. 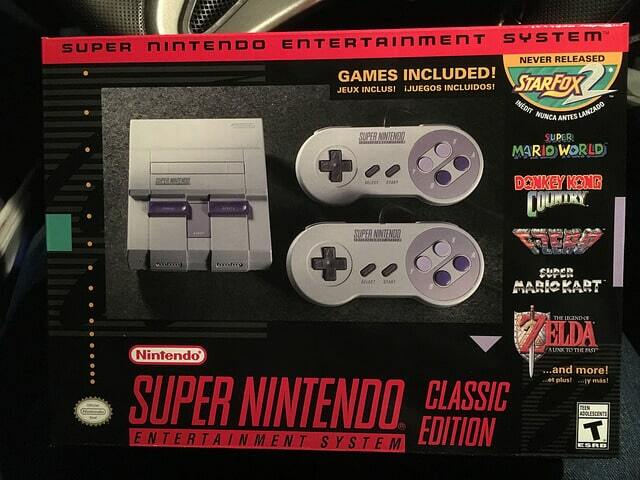 I had no choice in the matter but Y is cooler in my opinion and surprises are great so thank you so much uncle Pete!) I just love Yvetal. I played this on a 3Ds and I feel that Nintendo didn’t take advantage of the 3D factor as much as they could have. If you only had a 2Ds you wouldn’t be missing much at all. They only put it in on battles which is only half of the game. The story makes up for that though going far from just battle gyms as you spend good amounts of time battling team flare. I won’t give much away on that but they are an evil organization you must stop. You also get to travel with four other trainers two of which are you next door neighbors. They are Shauna, Serana, Tierno, and Trevor. This game is a wonderful play with plot twists, puzzles, action, and awesome exploration. Everything a game needs! The Pokémon Company held a Pokémon themed Nintendo Direct today that was eight minutes long, but packed a big punch. They made three significant announcements regarding Pokémon games that we can expect to be playing by the end of the year. A deluxe edition of Pokken tournament will be coming to the Nintendo Switch on September 22, 2017. The game will be a full port of the Wii U game, but will include new characters and game modes. At this point we should be confident that every halfway decent Wii U game will be ported over to the Switch with some bonus content. I’m glad to see Pokken Tournament given that treatment because it was a great game and went largely unnoticed thanks to its place on the Wii U.
Ultra Sun and Ultra Moon will launch on the Nintendo 3DS on November 17, 2017. They are new games in the Alola region that feature new Pokémon that weren’t available in the original. The announcement for these games was very short, but the Pokémon Company indicated that more information would be coming later on this year. This would not be the first time that a mainline Pokémon game was given a sequel if that’s what these games turn out to be. They released Pokémon Black 2 and Pokémon White 2 towards the end of the DS life cycle as well. On the other hand, these could very well just end up being special editions of the original games that don’t include much new content. It is tough to say now, but we’ll find out soon enough. The Generation 2 classics, Pokémon Gold and Silver, will be coming to the Nintendo 3DS eShop Virtual console this fall. These games are considered by many to be their favorite games in the series. These virtual console releases are particularly interesting to family gamers like us because we may very well have kids who have squeezed all the juice out of Pokémon Sun and Moon and might be hungry for something else. These will be budget friendly options to do just that. The release of Pokémon Sun and Pokémon Moon is racing toward us. Before we know it we will be knee deep in the Alola region and experiencing the seventh generation of Pokémon games. (Yes, before you ask, that does make me feel old). We don’t know everything about these two games yet, but The Pokémon Company has been kind enough to give us dollops of information every few weeks. This has helped to give everyone a peek at the games and to help build hype for them at the same time. Take a look below for a listing of everything that we know about Pokémon Sun and Moon! Sun and Moon may be new games, but there is no question that they will follow some of the same formulas and tropes as the previous games in the franchise. They will still feature a young Trainer on their journey across a region as they collect different Pokémon and complete challenges. There will still be secrets all over the place, and treasures to collect. In truth, Pokémon will still be an RPG just like it always has even. I’m not saying that as a pejorative either. Pokémon is a series built on formulas. It makes them immediately accessible to experienced players, and simple to explain to newcomers. Settling into a new game in the seriesis like sitting in a favorite chair that you just pulled in from the garage. It is warm, comfortable and feels just right even if you haven’t sat in it for a while. Every Pokémon game is designed after a different real world location. Sun and Moon are no different. These games take place in the Alola region, which is deeply analogous to the Hawaiian Islands. This is reflected in the art direction for the landscape, the landlife, and even in the costuming of the characters you run into. The fact that the region is a series of islands as opposed to one contiguous landmass also makes traversal more interesting as well. You can’t just walk from route to route anymore. This could make getting from place to place more interesting as you have to find boards, choppers, ferries, or even Pokémon to help get you where you need to be. It is worth noting that the Hawaiian Islands are a very diverse. It isn’t all grass and beaches. There are cities in Hawaii just like everywhere else, so we can expect to see some of that diversity reflected in the art design as well. This isn’t entirely new. There are times in previous games where players have ridden on Pokémon to get over certain terrain, but this feels like it will be a much more common phenomenon in Sun and Moon. There is something very mysterious about the Alola region. Not only are there different Pokémon there, but some known Pokémon have different forms that have different typing as well! For example, Vulpix and its evolved form Nine-Tails have an Ice/Fairie type form as opposed to their usual Fire type. The more I think about this, the more I am excited to see what other unique Alola forms there are. This is a great way to expand the diversity in the Pokémon available in the game without having to create new character models. It is also a way to help players play with their favorites even if the typing is different than what they need. Pokémon trainers who are adventuring across the Alola region will eventually come across a special bracelet. This bracelet, when combined with items that can be equipped to Pokémon, will give trainers and their Pokémon access to devastating Z-Moves. These are advanced maneuvers that can only be used once per battle that and look awesome when used. The debut video stated that there was one per type, but it was unclear if there are multiple moves available per type and that you need to choose one, or if they are truly are unique. What would a new Pokémon game be if it didn’t include new and never before seen Pokémon. Sun and Moon are no exception and we have already seen some splendid additions to the Pokémon roster. Some fan favorites, like the adorable Mimikyu, have already emerged. Sun and Moon follow the form from the last several generations by each including legendary Pokémon that is unique to their game. Pokémon Sun features Solgaleo a massive white Lion that is Psychic and Steel type. His ability is Full Metal Body. It prevents his statistics from being altered by his opponents moves or abilities. Pokémon Moon features Lunala. This is a giant bat that is both Psychic and Ghost typed. Lusaka has the ability Shadow shield, which limits the amount of damage taken when at full health. There will definitely be more legendary Pokémon available in the region, but they haven’t been announced yet. It appears that at least one standard Pokémon game formula is being turned on its head. It looks, based on the videos we have been shown, that there are no Gyms in the Alola region. Instead traveling Pokémon trainers complete Island challenges on each of the four main islands in the region. Each challenge consists of a task, or series of tasks, laid out by a powerful Pokémon Trainer who specializes in a specific Pokémon type (a la gym leaders). Once the task is completed, trainers can then challenge the Kahuna Pokémon. This is a Pokémon that is more powerful than others of the same species and is even able to summon other Pokémon to help it in battle. The Pokémon Company is always striving to update the combat system to make it more user friendly and interesting to look at. At the end of the day Pokémon is a turn based RPG so it is important for players to have all of the information they need at their fingertips. Pokémon Sun and Pokémon Moon take this even further than previous games by including information about each move type and its effectiveness against other Pokémon. This change has been criticized by some long time players, but anyone who is still learning or just starting, this is a godsend- helping new players learn the increasing complexity of the game with each iteration. Keep your eyes on Engaged Family Gaming for more information about Pokémon Sun and Moon as we get closer to the game’s release on November 18th 2016! 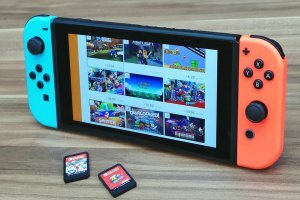 This article originally appeared on Pixelkin.org. Make sure to check them out! Kirby: Planet Robobot caught me by surprise. I was very excited for the game. Don’t get me wrong. But, I had a feeling that a Kirby game involving a transforming mech suit would just end up as a gimmicky mess. Fortunately, that could not have been farther from the truth. Planet Robobot is actually one of my favorite Kirby games in recent memory and I feel comfortable recommending it to anyone with a 3DS. The plot set up is straight forward. Robot aliens attack Dreamworld and terraform it in an adorable version of Cybertron (the robot home world of the Transformers). Happy trees, rolling hills, peaceful lakes… all twisted into sharp angles and covered in metal and infested with alien robots. Kirby bears witness to the mess and does what he always does: he flies (floats?) off to save the day. The bulk of the game plays out using the standard formula. It will be immediately comfortable to anyone who has played any of the previous games in the series. Kirby can inhale enemies and either shoot them out to attack enemies or clear obstacles or swallow them to use their powers. The biggest difference is the aforementioned mech suit that Kirby can jump into. It flips the formula in a number of interesting ways. The first is that the suit is much larger, which changes the complexion of the platforming in the different levels. It also gains different abilities from the critters in the game compared to what Kirby would get. This is subtle, but it adds a lot of variety to the game. Lastly, you can’t just jump out of the suit once you are in it like Iron Man. You have to drop it off as specific locations. These are usually clues that there will be some sort of area that can only be accessed by a small Kirby. Navigating these puzzles and discovering hidden areas is a treat. Kirby: Planet Robobot also comes packaged with a multiplayer mode that gives multiple players a chance to play as different Kirby’s to fight large bosses in an RPG-esque boss rush mode. Each player chooses a different class (make sure at least one person is the healer!) and works together to take on the boss. Even better? The game can be shared through 3DS Download play with up to 53 other players even if they don’t have their own copy of the game. 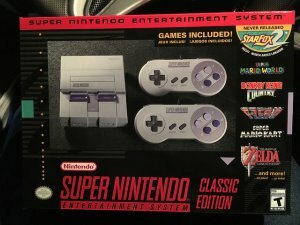 This is a great bonus and while it isn’t exactly the deepest experience in gaming history it will definitely save a handful of long road trips! Yes. Definitely. Kirby is a little pink ball of… something…. and inhales cartoony monsters and steals their powers. Feel free to let even your younger kids play this one. Kirby games are, in general, very forgiving for new players and Planet Robobot is no exception. First and foremost, Kirby can fly. This makes a lot of the platforming challenges easier for younger fingers. There is also very little text so even younger readers will be able to get the gist of the game. Kirby: Planet Robobot is a great game that is worth every family’s time. This is especially true if you or your children have had fond memories of Kirby games in the past. In That case, this is a no brainer as it is among the better games in the series’ recent history. Mighty No. 9 is a game that had more potential than it had any right to. But, all of that potential was left squandered in an experience that felt hollow at its best and annoying the rest of the time. Keiji Inafune just about set the world on fire with his Kickstarter campaign a few years back. His promise was simple: recreate the magic of the original Mega Man series on modern consoles. He promised a character and premise that was “legally distinct” from Mega Man, but close enough that anyone paying attention would know exactly what he was doing. Mighty No. 9 is a game where players take control of a robot named Beck as he fights several different robots, called Mighty Numbers, and takes their powers for his own when he defeats them. If that sounds familiar to you, then you can congratulate yourself for recognizing the basic structure of the Mega Man series. The fact that Mighty No. 9 all but steals Mega Man’s thunder isn’t really a negative at all. Capcom had been squandering the property for years and it was far past time for a return for the franchise. The thing that brought this game down for me was that it felt like it was being slapped together haphazardly and with no regard for making anything other than an homage to an old game. Mighty No. 9 features futuristic combat between cartoon robots. There is nothing to be concerned about here if you let your kids watch pretty much ANY kind of cartoon. Mighty No. 9 is not as difficult as Mega Man games, but it is still going to be very challenging for younger players who are not very experienced with platforming games. I desperately wanted to like Mighty No. 9 even if only to serve as an introduction to this style of games for my kids. At the end of the day, though, parents would definitely be better served spending the money on a copy of the Mega Man Legacy Collection to serve that purpose. It will be more challenging, but the reward will be far sweeter. Nintendo was apparently being coy when they announced before E3 that the only game they were bringing to the show was The Legend of Zelda: Breath of the Wild. They revealed a new action RPG for the 3DS called Ever Oasis a short time into their second day of streaming Treehouse Live @ E3 2016. Ever Oasis is a game that places the player in control of a character who, along with a water spirit named Isuna, is tasked with settling and growing a great oasis in the middle of a vast desert. Players will build shops, forage for materials, and scavenge for the tools their oasis needs to grow. Over time your oasis will attract other characters of various races and tribes. You’ll be able to recruit these characters into your party while you venture into dangerous dungeons in search of treasure and experience. While in the dungeon you will be able to switch between the member’s of your party at will. Ever oasis is not without a story though. The gist of the story is that the magical force of chaos has swept into the desert swept the main character’s brother away and is infecting the local animals and turning them into monsters. You need to help return the animals to normal while you are growing your oasis. We don’t have any details yet regarding a release window yet, but this does look like a promising addition to an already stunning lineup of RPGs on the 3DS. Keep your eyes on Pixelkin.org for updates as we get closer to the release date. Nintendo went live on YouTube Live @ E3 on Monday to announce a list of independent games that will be coming to the Wii U and 3DS in the coming months. Here they are. Jotun was released on PC last year. It is a hand drawn, isometric adventure game where players take on the role of a female viking as she ventures through an abstract landscape and challenging mighty Jotuns to battle. The game draws significant inspiration from Dark Souls and the other games made by From Software. This inspiration is expressed in the difficulty of the bosses. The Jotuns are punishingly difficult and force you to learn their patterns and practice your execution until you beat them. Runbow is one of the more popular Nindies in the last few years. It is a simple concept. Runbow is a competitive platformer where players race to a finish line while the background regularly changes color. As the background changes color the multicolored platforms in the foreground disappear when the colors match. This makes each race super chaotic and (in my opinion) fun. Fans have been asking 13AM games for a handheld version of the game since its release. Those wishes are finally being answered. Later this summer Runbow Pocket will release on the New 3DS. Runbow will also be receiving a physical edition in the form of Runbow Deluxe and will be in stores later this year. Axiom Verge is an exploration based platforming game that was developed by a one man development team. It carries inspirations from classic NES games like Contra and Metroid and has already been a success on PS4 and PC. The release on Wii U will give players some additional tools like a map openly visible on the game pad, which will definitely help make exploring the vast map. Severed is a first-person role-playing game that was made by Drinkbox Studios (the people behind Guacamelee). The combat is largely touch based so using a stylus on the Wii U or 3DS screen fits perfectly here. The game has already been released on PS4 and Vita to modest success so it makes sense that it would be ported elsewhere. The Nintendo Direct was week ago, but we are still super excited for several of the announcements that Nintendo made during the presentation. Take a look at the full video and then look below for our favorites! I’ve been concerned about Star Fox Zero for a while. It didn’t look very good when it was formally announced and everything I read about the way the game controlled gave me plenty to be scared of. The numerous delays haven’t done anything to help heighten my excitement either. The footage and features they showed this time around have us much more excited. The biggest reason? The introduction of a cooperative mode where one player can control the ship while the other controls the fine aiming with the Wii U gamepad. I simply cannot wait to give this one a try with my kids! Star Fox Zero will launch on April 22nd. Paper Mario and the Thousand Year Door for the GameCube is one of my favorite RPGs of all time. It is dumb. It is laugh out loud funny and it has some of the smartest turn based combat in the entire series. Paper Mario: Color Splash looks like it has a chance to return the series to form by bringing it back to the home console to take full advantage of the hardware’s power. We don’t know any of the details regarding release window, but it is safe to assume it will be out during the later part of the year. We thought that updates for Splatoon were over, but Nintendo is coming back swinging! They have already released a balance patch with the intention of improving matchmaking and increasing the weapon diversity by making some of the lesser used weapons better. They also plan to release several different weapon configurations in packs called “Shelldon’s Picks” starting in April! Kirby Games are always a treat. He’s adorable and his games are often very forgiving for kids who want something to play. This time you control Kirby just like you always have, but with the added twist that you can hop into a giant mechanized suit of armor. We are huge RPG fans here at EFG. That won’t come as a surprise to any of our regular readers. The Dragon Quest series is one that doesn’t get a lot of love in North America and it really doesn’t make much sense. It has interesting characters, cool stories, and tight mechanics. Dragon Quest VII is one of the best in the series and it is getting the full remake treatment for the 3DS. The graphics are being redone and it is being fully localized for the Western audience. It will be coming out later this year.